Les Brown is listed in the Guinness Book of World Records as being the leader of the longest lasting musical organization in the history of pop music. This rare collection of shows was were recorded in Hollywood for the US Navy Recruiting Service from the 1950s. "Les Brown and His Band of Renown"
Les Brown, is listed in the Guinness Book of World Records as being the leader of the longest lasting musical organization in the history of pop music. He helped launch the career of Doris Day, and he was Bob Hope’s band leader for many years, including many of his famous USO tours. "My father’s love was music," said Les Brown Sr., during an interview conducted in April of 1996, "but he was a baker so we could eat." In 1944, Ben Homer and Bud Green brought Les a song that they had been working on. Les "liked right away." Due to a recording ban during the war, they were unable to record it for two years. With a beautiful vocal by the band’s singer, Doris Day, the song became a perfect theme song for the GIs returning from the war: "Sentimental Journey." 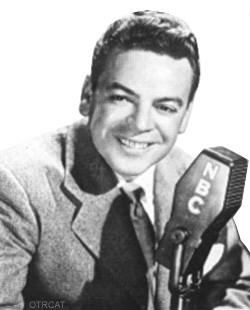 Les Brown and the Band of Renown joined Bob Hope in Sept 1947, replacing Desi Arnaz. Working with Hope allowed Brown to spend more time at home with his growing family, but there was still a grueling road schedule in the summers and every Christmas with Bob Hope’s USO Shows. This rare collection of shows was were recorded in Hollywood for the US Navy Recruiting Service from the 1950s. I\'ve got a couple hundred hours of OTR from you that I\'m looking forward to listening to (and a lot that I want to re-listen to, especially BOB AND RAY and various comedy shows). I certainly will order if something especially interesting is added. I appreciate the quality and service you always offered, and as I say will probably order something \"new\" one of these days.